In honor of Father’s Day, DiamondJacks Casino & Resort will serve free lunch to residential fathers of Shreveport’s Providence House Saturday, June 15 at noon. Providence House provides comprehensive support services for improving the family structure and moving the family into independent living to break the homeless cycle. The singular aim of the program is to break the cycle of homelessness by helping families gain the resources necessary to move permanently into independent living. 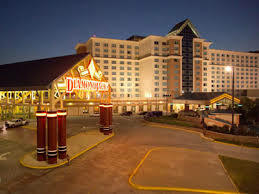 DiamondJacks Casino & Resort is owned and operated by Legends Gaming, LLC and features a hotel with over 500 rooms, over 1,000 slot machines, 27 table games, 3 restaurants, a fitness center, outdoor pool, meeting/convention space, and a full-service RV park.